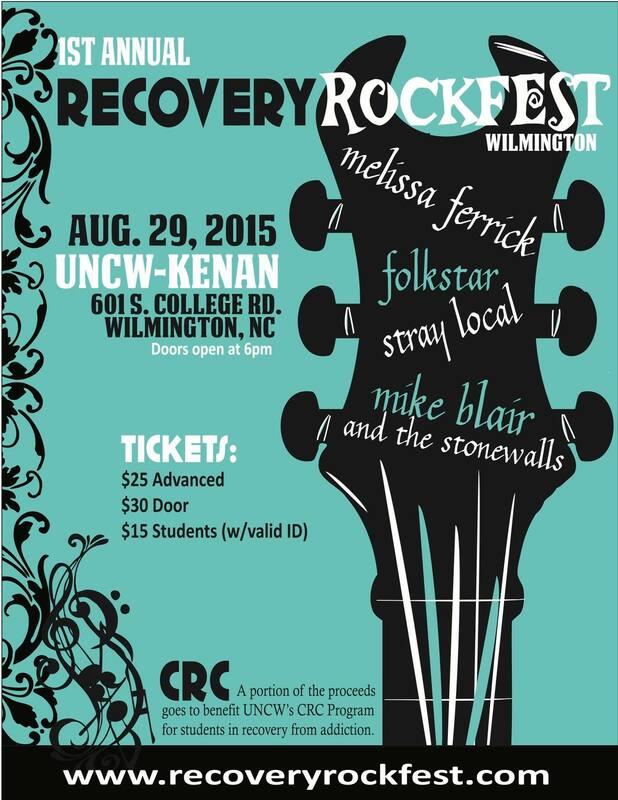 Folkstar will be performing as a full band on Saturday, August 29th at RecoveryRockFest, a clean and sober event with proceeds going to the UNCW-CRC Recovery Program. It’s going to be an awesome concert featuring headliner Melissa Ferrick! Get your tickets at http://recoveryrockfest.com. Find out more on Facebook at https://facebook.com/events/1067058659977557.